Rawlings now gives you the option of personalizing your own adult wood bat with laser engraving. You have the ability to put your name and number on this bat. You have a total of three lines that you can customize. You can put the Rawlings BIG STICK logo on the first line or insert your own text. You can fill in as many or as few lines as you like. Up to 20 characters/spaces per line. Want a professional looking bat? Here's how you do it. 1. Type Big Stick Logo in Line 1 Text. 2. Put YOUR NAME in Line 2 Text. 3. Put PROFESSIONAL MODEL in Line 3 Text. 1. Type Big Stick Logo in Line 1 Text or type your own text. 2. Fill in the other lines with your own text. You can fill in as many lines as you like. 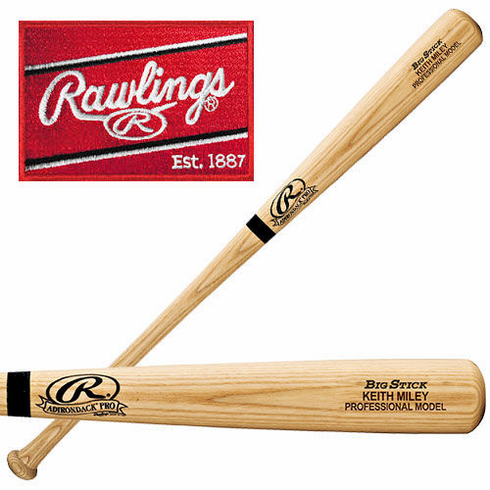 Click here to see all of our Louisville Slugger and Rawlings Bats!